Segway tours are popular around Dallas-Fort Worth, but what happens if you're injured while riding one? Can you file a claim against the Segway company? What if there were other cars or pedestrians involved? Before most Segway tours, the Segway company will have you sign a release relinquishing your right to sue them if you hurt yourself on the Segway. By signing a release, you acknowledge that Segways can be dangerous and you understand that the company can't be held responsible for injuries you sustain. So, if you happen to crash your own Segway or fall off of it, you'll use your own health insurance to cover the cost of your medical bills. This is a bit trickier. Segways are, unfortunately, known to malfunction. There have already been two mass recalls of Segways since the vehicles were first introduced to the public in 2003. That same year, approximately 6,000 transporters were recalled. In 2006, even more Segways were recalled. There was an instance in California where a woman's Segway began acting erratically while she was on a tour, reversing without warning and causing her to fall and break her elbow. In cases like these, you'll need to consult a personal injury attorney to discuss the specifics of your case. If there's enough evidence to prove that the Segway did indeed malfunction and that error caused your injuries, you could have a case against the Segway manufacturer. Segway riders are considered pedestrians and generally have the right of way. If you were injured in a collision with a car or truck and the accident was their fault, you can file a claim against them to recover money for your medical bills and damages. How Much Evidence Do You need To File A Claim? If you or a loved one has suffered injuries while riding a Segway, you may be entitled to compensation. For more information, please contact an experienced personal injury lawyer at the Anderson Law Firm. 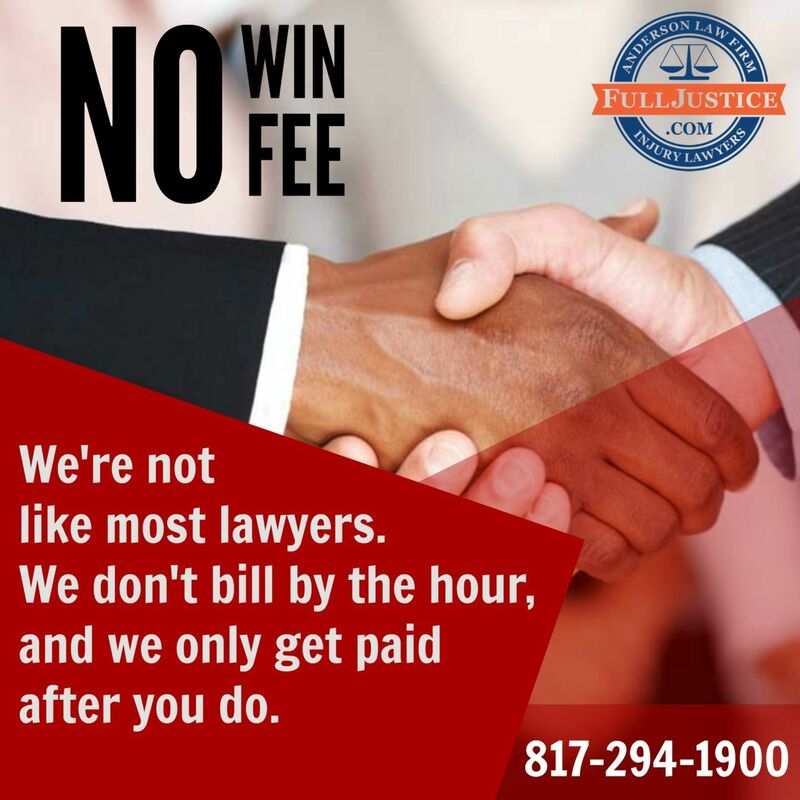 Call toll free 817-294-1900 for your free consultation. Deciding Whether to Hire a Lawyer for Your Personal Injury Claim in Texas?